Did a UFO crash land in a rural West Virginia town in 1952? New eyewitness testimony obtained by a film production crew would seem to indicate it did. 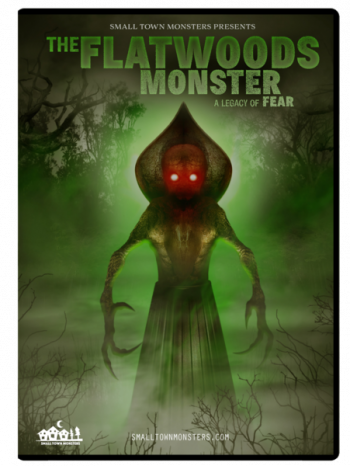 In a new documentary titled, The Flatwoods Monster: A Legacy of Fear, two of the only living witnesses to a strange, mechanical being exiting a bizarre craft will have the chance to tell their story when it is released on April 6th. The Flatwoods Monster: A Legacy of Fear is a new documentary from director, Seth Breedlove, which will unlock a decades-old mystery that included a government-ordered military examination of a purported alien crash-site, and multiple UFOs seen by countless residents of Braxton County, WV. The film was at the center of a wildly successful crowdfunding campaign that earned over thirty six thousand dollars through Kickstarter and will see a wide streaming and DVD release by award-winning production company, Small Town Monsters. The film is being released by the award-winning, production company, which is responsible for last Spring’s, “The Mothman of Point Pleasant”; another documentary centered around a well-known West Virginia legend. The film features an original score composed by Brandon Dalo and cinematography by Zachary Palmisano with special FX by Santino Vitale and fully animated sequences by Chris Scalf.